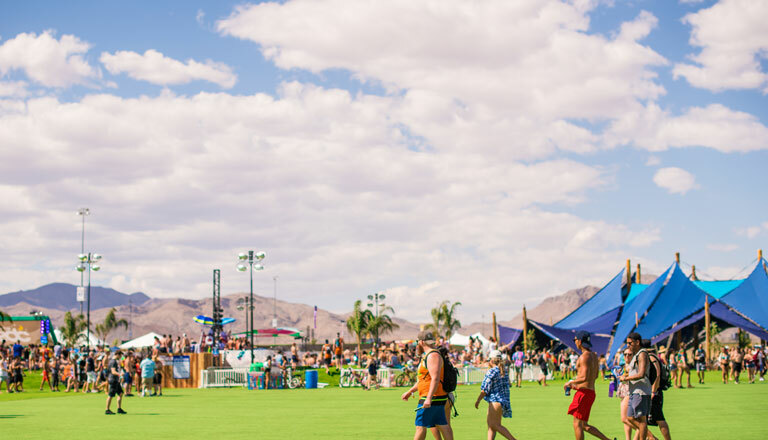 At the heart of Camp EDC lies the Mesa, a bustling hub of entertainment, activities, and amenities that campers can enjoy and take part in all weekend long—from daytime pool parties, to curated guest speaker series, to group classes that exercise your mind, body, and spirit. 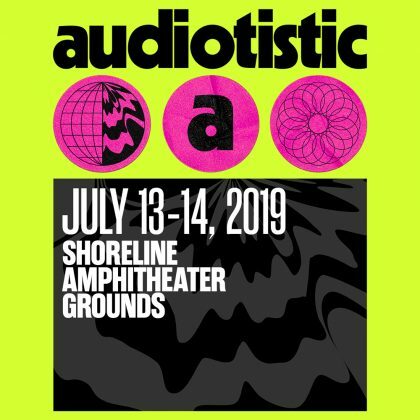 Only campers will have access to an exclusive Thursday night kickoff party on the Mesa, featuring surprise DJ sets and live entertainment on the Parliament Art Car. 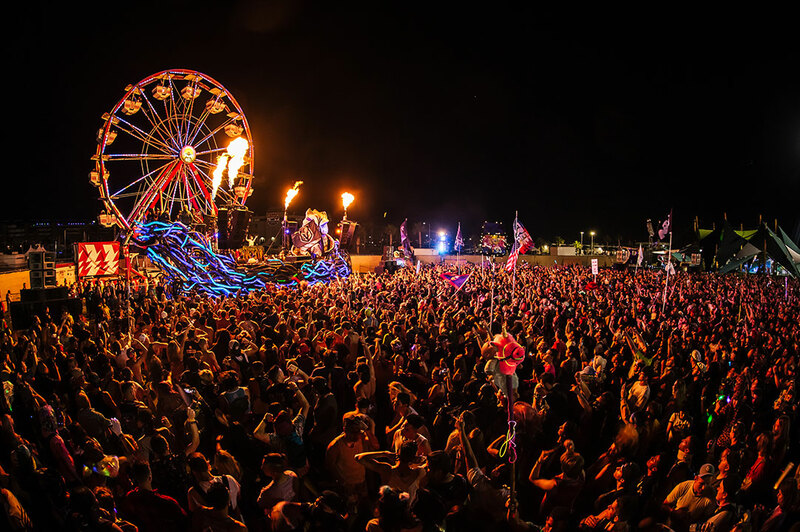 When you camp Under the Electric Sky, the EDC experience never ends. 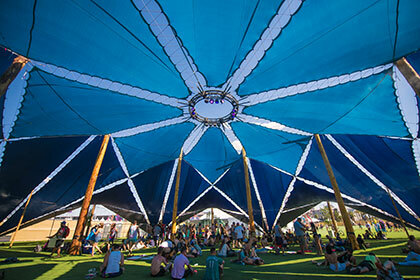 These three larger-than-life shade structures host a unique set of experiences on the Mesa. 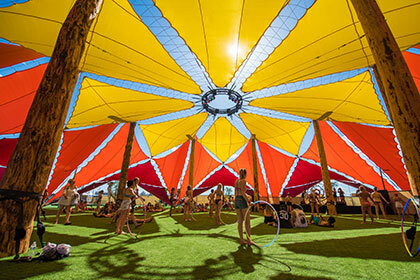 Beneath Sol, Headliners can enjoy various activities like yoga, sound healing, and rave aerobics, while also taking part in some serious arts & crafts. Cascada is home to our transformational activities and wellness workshops, as well as the main location for our handpicked guest speaker series. 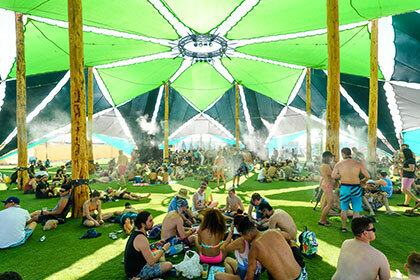 Under the grand expanse of Tierra, indulge in beauty stations, glam labs, the Camp EDC barbershop, massages with essential oils, and a few more surprises. 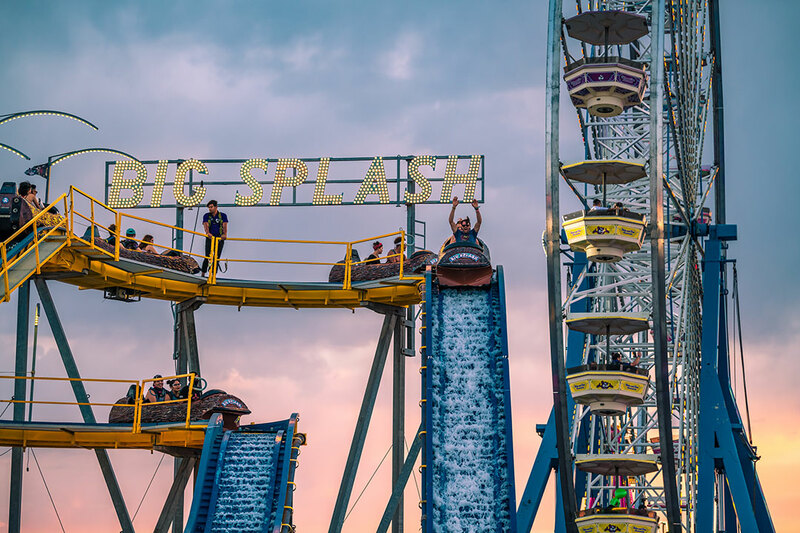 Yep, it's a pool in the middle of the desert—featuring drinks, special guest DJ sets, and tropical vibes all day long. The Oasis Pool is cleaned and filtered every hour, and our artificial grass is eco-friendly. 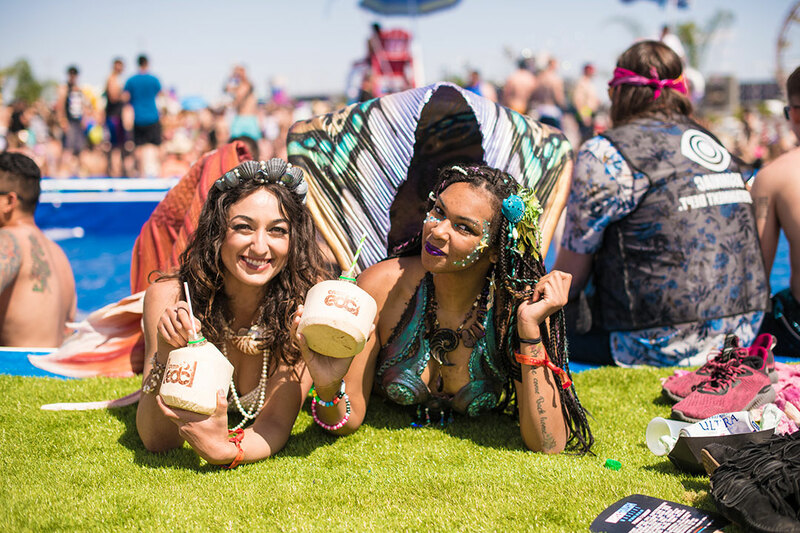 Enjoy a cocktail poolside, and soak up some sun while you wait for the gates of EDC Las Vegas to open. 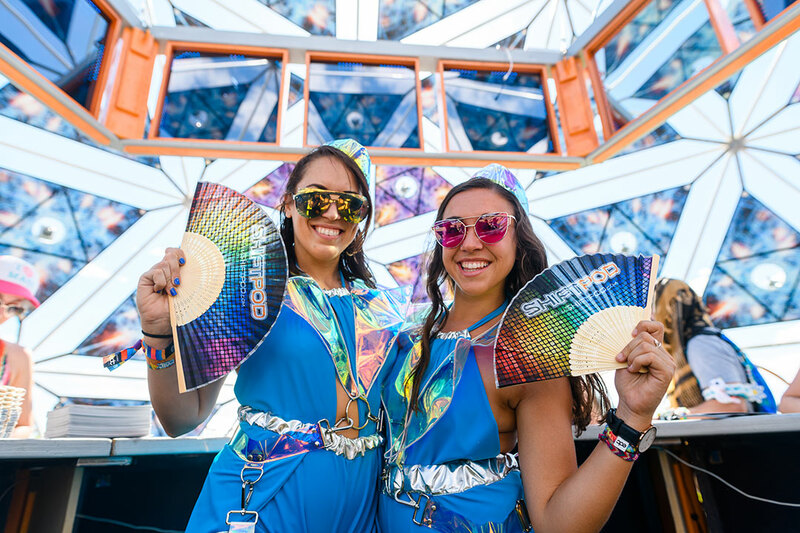 Every day is a party at Camp EDC! 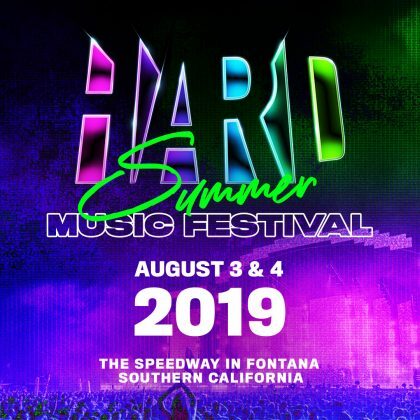 The weekend begins with the official Camp EDC Kickoff Party on Thursday, from 8pm–3am, featuring special performances by Fisher, Latmun, Littler Fritter, Mason Maynard, and Melé! Friday, Saturday, and Sunday afternoons from 1–4pm, campers are invited to the Oasis Pool for our Daytime Pool Parties. 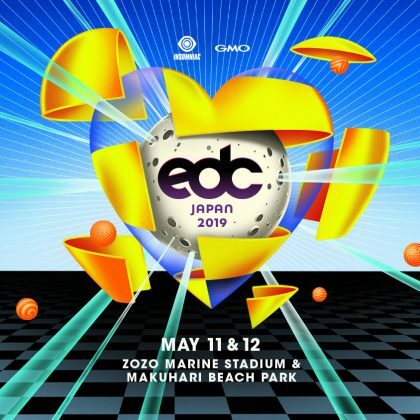 The festival ends at sunup on Monday, but for campers, the official EDC Closing Party goes till 10am! Convene in the Mesa for one last hurrah, and see what special guests we have in store! 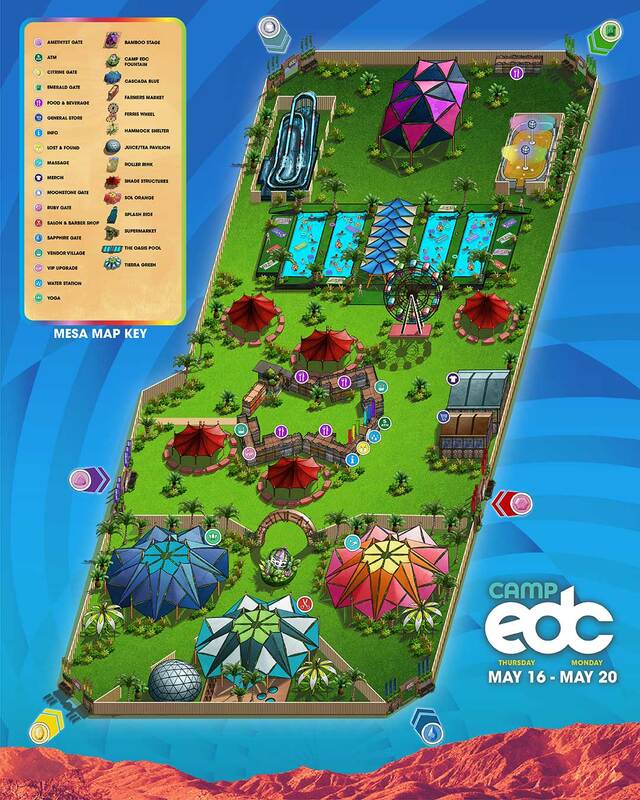 Camp EDC Parties are open to Camp EDC ticketholders only.